Pokemon GO isn’t the only Pokemon game that is making waves on smartphones. While its success is much smaller in scale, Pokemon Quest, the Pokemon game for Nintendo Switch and smartphones by Game Freak (incidentally their very first game ever for those platforms) has also been doing pretty well for itself over the last few weeks since its launch. 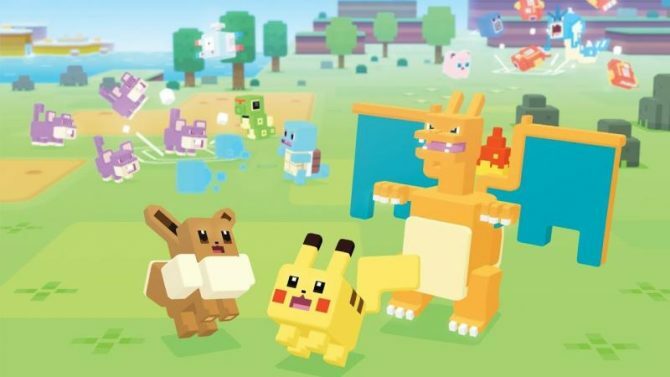 The Pokemon Company has announced that the game has hit 7.5 million downloads since its original launch at the end of May. The original release was just for Nintendo Switch, with a release for iOS and Android following at the end of June. The bulk of the downloads have come from the mobile version, it is to be supposed. Pokemon Quest is free to play, so the number of downloads doesn’t necessarily tell us how much money it has made- still, the more players that the game has, the higher the chances of it making some good money, so I guess it’s off to a good start on that front, if nothing else.